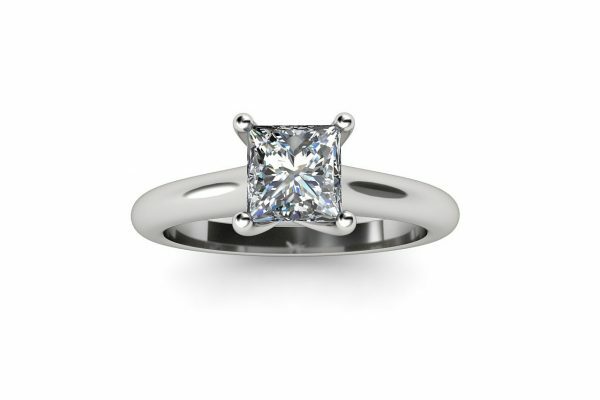 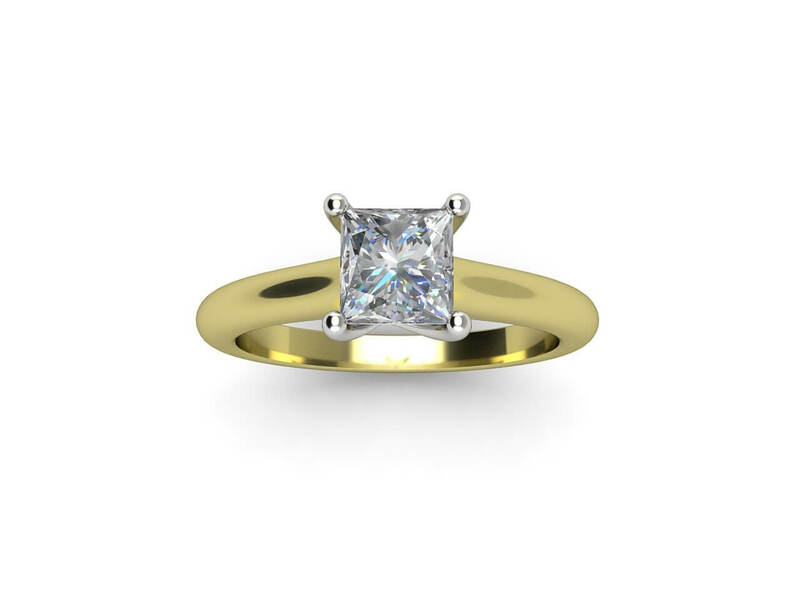 Enjoy the timeless beauty of this classic solitaire design featuring a dazzling Princess Cut centre diamond. 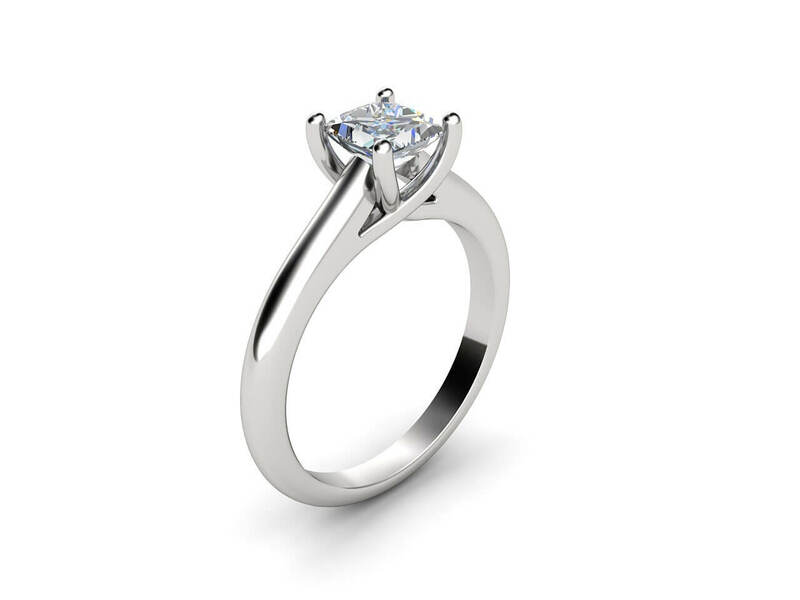 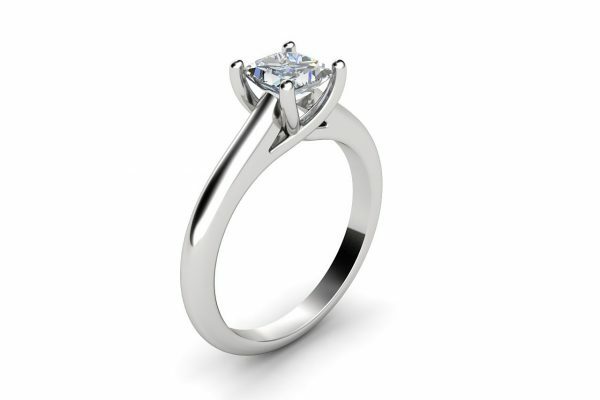 The diamond is beautifully held in a four cross-over claw setting that is simple, yet refined. 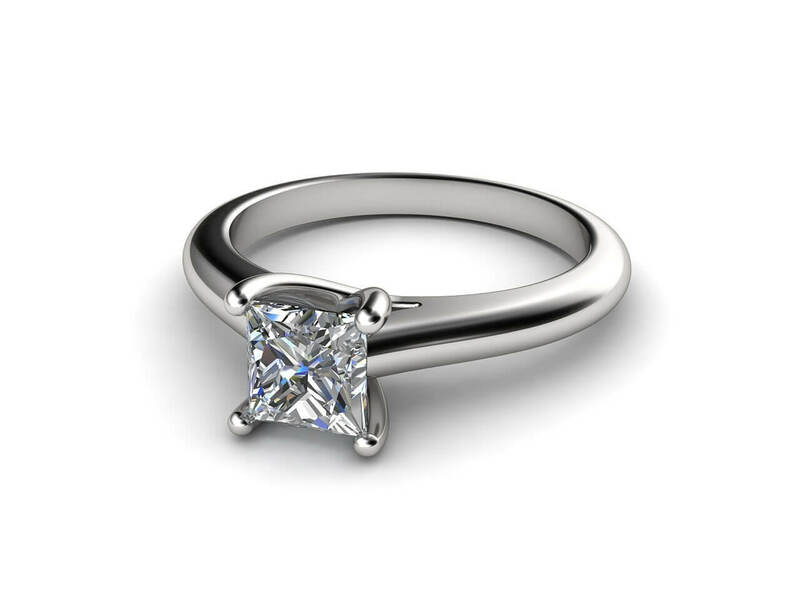 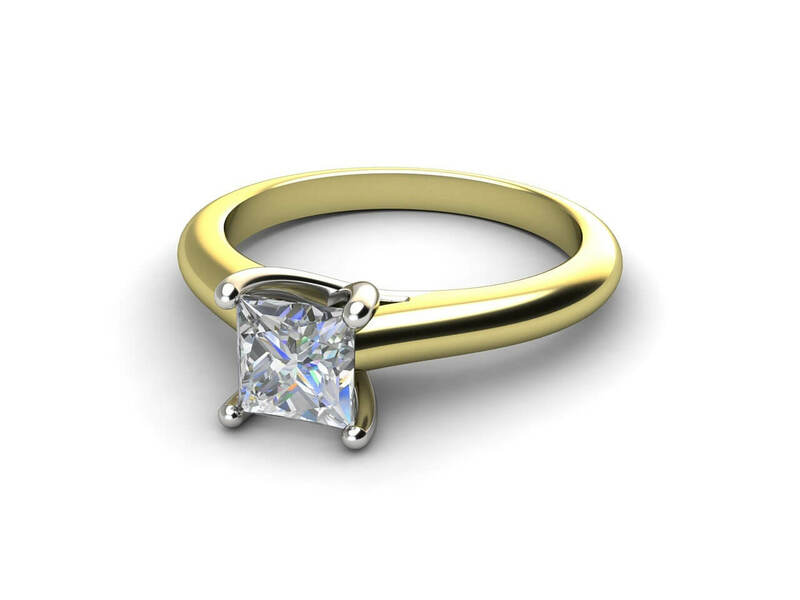 This timeless diamond ring can be custom-made in your choice of 18k white gold, yellow gold, rose gold or platinum and the size of the centre stone can range from 0.50ct to 2.00ct.